Luvin this Hype Ella Bag in the worst way! I've been looking for a satchel bag like this for the fall/winter season and here it is! I can envision myself, kurly head and all, traipsing around the Village with this baby on my arm in the crisp fall weather with a sweater dress n boots or something else fly. I was just doing my daily check of Mane and Chic this morning and she featured it today in her Fashion Fridays post. I've always liked Hype bags. 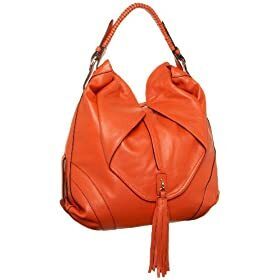 They're designs r hot and their more affordable than a Dooney, Coach, etc. This pretty baby comes in 3 diff colors. 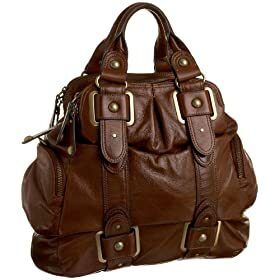 I want it in this brown pictured. Hobo bags are always great accessories for the fall and winter. I basically put my whole life in them. LOL. Tissue, crackers, hand lotion, small sewing kit, heck there might even be a small child living in there! LOL. Ok, I'm exaggerating some but you get what I'm trying to say.